Is It Better To Start A Horse Rescue Or Work With A Horse Rescue? 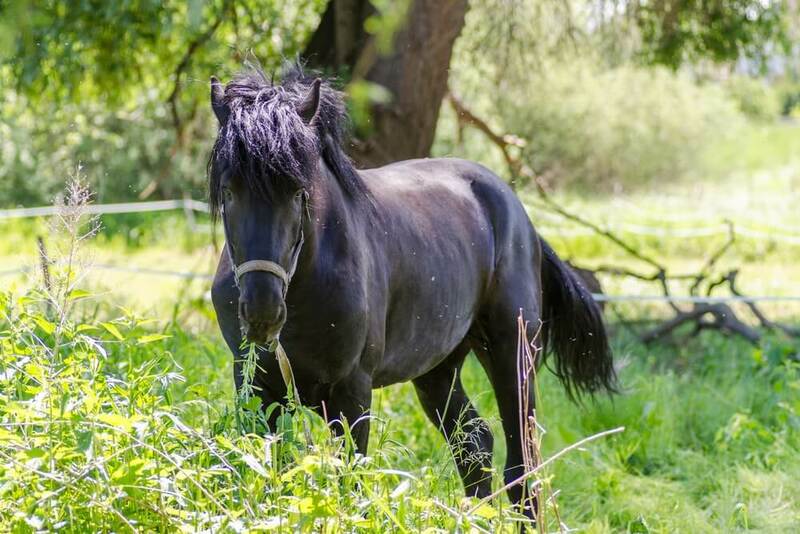 If you love horses and know about horses and have some pasture space available, you may think that it would be a great idea to start horse rescue. Before you jump in with both feet, though, there are a few things you should keep in mind. Running a horse rescue is just like running a business. To simply begin collecting horses in need could put you at great risk of getting in trouble with the law and of putting horses in more danger than they were already in. In this article, we briefly review the many complex and important steps you must take to correctly establish a horse rescue. We also review alternatives that can help the average person support established rescues to get real help to as many horses as possible. Read on to learn more. 2 Is It Worth It To Start A Horse Rescue? 3 Where Can I Find Horses in Need? 3.1 Why Not Buy At Auction? 3.2 What About Adopting Mustangs From The Bureau Of Land Management? These days there are lots of horses seeking homes because the economy is down, the weather is bad, hay is scarce and feed prices are high. If you do have pasture space and barn space available, helping a horse in need or more than one horse in need is an excellent thing to do. If you want to do this on a large scale, you will need to set up your organization as a business. This means you’ll need to write up a formal business plan just as if you were going to apply for a loan. Understand that there are no loans available for setting up horse rescues, but your plan should be just as organized as if you were trying to convince someone to loan you money to start it. Your plan should detail how you will fund your enterprise and how you will manage the money that you have. You need to be very transparent and realistic about your cash on hand and your cash flow. You should be able to prove that you can fund your venture for at least five years. Identify your fundraising strategies. Understand that they must be practical and achievable. Identify your short-term goals and your long-term goals along with the steps you will take to meet them. These exercises are useful to you in making and keeping your own plans. They are also useful in applying for grants. You may be able to get some sorts of grants to help fund your rescue. You’ll need to talk with an attorney to be sure of setting up a plan that is in accordance with your local equine laws. You want to be in alignment with all local rules and regulations regarding the care and keeping of horses. Be sure that you are covered by all the necessary local business permits and licenses, and be sure that you understand all of your requirements under both local and state laws. Additionally, it’s wise to familiarize yourself with the best practices and minimum care standards for rescue operators. To familiarize yourself with these standards, see this important document: The Animal Welfare Institute Horse Care Guide. You’ll want to incorporate your business so that your personal assets are not at risk of being absorbed by your venture. Without incorporation, you could find yourself losing home, real estate and funds if someone decides to sue you. You must also be sure you have good liability insurance coverage in place in case of accidents to yourself, your volunteers, your employees, prospective adopters, your property and the animals in your charge. See a tax specialist to determine what you’ll need to do in terms of filing taxes. As a genuine rescue, you’ll want to obtain 501(c)(3) nonprofit status from the Internal Revenue Service (IRS). Having 501(c)(3) status indicates that you are recognized by the IRS as a genuine charitable, nonprofit organization. With this classification, people who donate to your cause will be able to deduct their donations from their income taxes. Having IRS nonprofit status is extremely important because it will help you gain confidence with people who may support you. Many philanthropic organizations will not contribute at all unless you are 501(c)(3) certified. When you talk with your lawyer, discuss the types of contracts you will need to have on hand for dealing with all of the many entities you must deal with in a rescue business. Contracts should be extremely detailed and make it clear what your agreements are with volunteers, employees, prospective adopters, owners who give up their animals to your care, people providing trailering services and more. When you adopt a horse out, you must be sure to have a legally binding, no kill/no auction transfer contract that specifies that the animal is not to change hands without your knowledge and approval. This contract should give you first right to the horse if it is to leave the adoptive owner’s care. When someone transfers a horse to you, you must be sure that the contract you sign is extremely clear. You do not want people who surrender their horses to you to turn around and say that you stole them. This happens far more often than you would expect. If you’re going to rescue horses that are abused or starving, this is extremely important. You must also be sure that you understand all laws that pertain to trespass, search and seizure and the ownership of animals in your state. You don’t want to cross any lines, or you may find yourself in legal trouble. In addition to contracts, you must thoroughly document any rescue you make. Keep in mind that you must always be able to prove your position. Take pictures and/or video every step of the way. Remember that if you rescue a horse from an abusive situation, you must be prepared to keep that horse until any court cases are completed. You cannot adopt out a horse whose status is in controversy. You’ll need to have plenty of professionals on board to help you with the needs of your horses. You want to engage the cooperation and well wishes of your local veterinarian, a good farrier and a good trainer. Being on good terms with your local feed and hay supplier is of the utmost importance. You must establish a good working relationship with local authorities so that you are not put in a position of approaching allegedly abusive animal owners on your own. You must always have the backup of local authorities. ..and all of the other bits and pieces necessary to care for one horse multiplied by the number of horses you plan to keep. In this video, the presenter discusses at length the many steps you must take to start your own rescue. Is It Worth It To Start A Horse Rescue? You may have gleaned from all of the information above that starting horse a rescue is a complicated and challenging business. 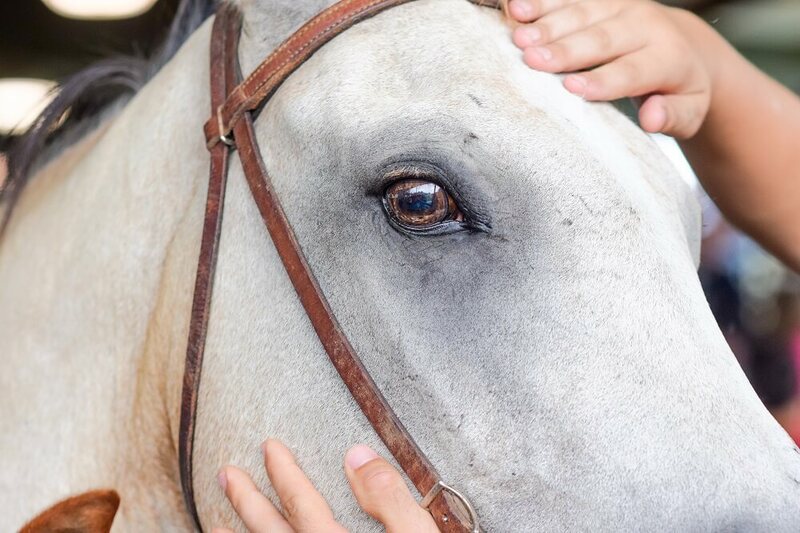 If you are fortunate enough to have space to keep a few horses, there are a couple of ways that you can be of real use to horses in need without going through the extremely complicated and difficult steps necessary to establish your own horse rescue. First, you can simply adopt horses in need yourself. Even though you might only adopt one or two horses on your own and keep those horses for the rest of their lives, that is a tremendous responsibility and commitment and one that many people are not able to make. You may only be helping a handful of horses, but the help you provide those horses will be worth everything in the world to them. Alternately if you do not want to adopt horses of your own, or if you have the space for extra horses in addition to your own you might be better off to work with an established rescue or with your local American Society for the Prevention of Cruelty to Animals (or similar organization). You can offer your services as a foster care provider. When you do this, the already established 501(3)(c) rescue or American Society for the Prevention of Cruelty to Animals takes care of all of the business aspects. They will conduct an inspection of your premises and tell you what you need to do to be up to standards to foster horses in need. Not only that, they may provide financial support and other support and refer screened adopters to you. If you don’t have the resources necessary to run a rescue from the ground up, working through a local established rescue is the best idea. This video gives a good, clear view of the sorts of qualities a genuine, qualified, competent horse rescue must have. Where Can I Find Horses in Need? There are many ways to find horses in need of good homes. The very best is to scan your local newspapers, online groups, Craigslist and adoption organizations such as RescueMe.org for listings of horses that are “free to good homes”. When you do this, you may be able to beat kill buyers to the punch. These devious individuals often trick unsuspecting horse owners into surrendering their horses and then take perfectly good horses to auction or slaughter. When you rescue a horse in this way, you completely circumvent the auction process. Buying a horse at auction can be complex and deceptive. Why Not Buy At Auction? When you buy a horse at auction, you never know what you’re getting. Horses with bad temperaments are often drugged at auction houses. Many horses sold at auction are stolen, and if you buy one of them you may someday be confronted by the horse’s legitimate owner. Furthermore, kill buyers have started buying up good horses and then jacking up their prices at auction in an attempt to extract money from potential rescuers. “Rescuing” horses from kill lots and auctions actually creates a market for and encourages these devious, deceptive and often illegal practices. It is far better to seek out individual horses that are being advertised as “free to good home” or to rescue abused horses directly from their unfortunate circumstances than to participate in an auction. When you do this, you prevent having the horse ever enter the auction/slaughter pipeline. What About Adopting Mustangs From The Bureau Of Land Management? More than 50,000 of our wild horses are currently languishing in remote, exposed lots waiting (mostly in vain) to be adopted. Older horses (over the age of 10) are often sold in groups for as little as a dollar each. Even though it is illegal, these horses often end up shipped to Canada or Mexico for slaughter. The Bureau of land management has recently changed its policy so that they offer $1000 in support to people who adopt mustangs. If you’re a skilled horseman or woman with the right facilities to house and train a wild horse, adopting a mustang may be a very good way for you to go. It is certainly better to save these unfortunate animals than to allow our National Heritage to be shipped off to slaughter.